Serve 110 customers this week! Click on a cookie and drag the mouse to connect groups of 3 or more cookies. Check out this video for the best explanation. Match 7 or more cookies to create power-ups. Power-ups clear multiple cookies and increase score! The more moves you have left at the end of the level the bigger the bonus from Rainbow Fever. Find 170 objects this week! Find the objects in the list and click to collect. You don’t have to find them in the order listed! If you get stuck don’t be afraid to use the Hint. Power-ups can make finding easier as well. Finding items can be easier in Full Screen Mode. Finding multiple objects quickly in a row earns you more points. Complete 24 episodes this week! An episode has five chapters, finish them all to see progress on the challenge. 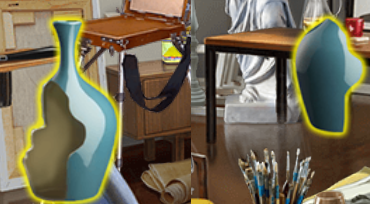 Find all the objects listed to finish a chapter! Keep an eye out for the Gold Key for extra points. Some objects have multiple parts, find all the parts to put the them together and clear the item from the list. Some items can be hidden inside other items. Look for a green glow on things you can open!